Mountain Shadow Morning: Style: White Lace in Winter? Style: White Lace in Winter? The answer? Yes! You can wear white lace in winter. Forget what you've heard about "no white after Labor Day." 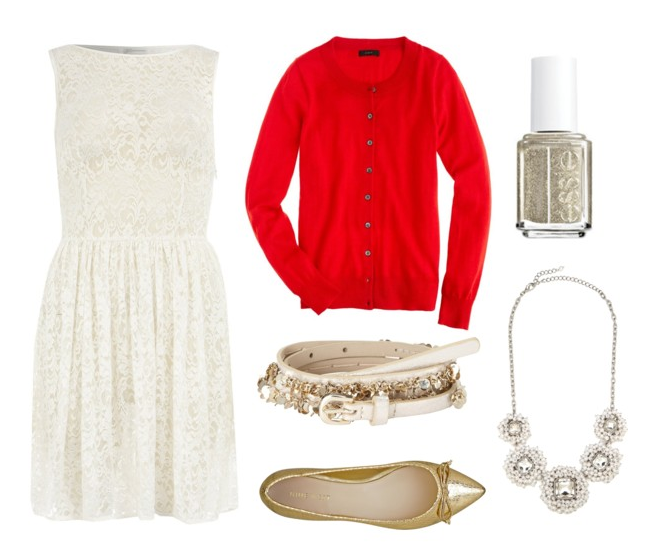 In this case, white lace is 100% acceptable and very holiday-chic, if I do say so myself. Wonder how to do it? Here's my take. While white lace is typically a summer fabric, white is also a great color to wear during the holidays. Dressed up with another festive color such as red, green, navy, black or gold, this look is chic and gives you a great excuse to re-wear your favorite summer staple.